Newswise, February 3, 2017— Nearly half of women treated for early stage breast cancer reported at least one side effect from their treatment that was severe or very severe, a new study finds. While it might be expected for women undergoing chemotherapy, researchers found one-third of women who didn’t receive chemotherapy experienced severe side effects of treatment. Side effects led to additional doctor’s appointments, trips to the emergency room, delays in treatment and reduced dosages. “It's in patients’ best interest to receive their treatments on time and on schedule, whenever possible, to give them the best possible outcome. Unscheduled care for toxicities – including clinic visits, emergency department visits and hospital stays – are expensive, inconvenient and disruptive to both doctors and patients. We need to avoid them whenever possible,” says study author Steven J. Katz, M.D., MPH, professor of medicine and of health management and policy at the University of Michigan. 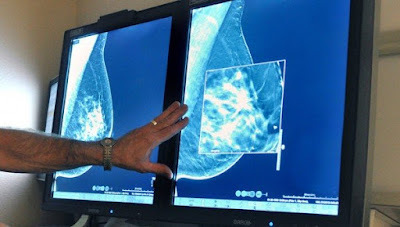 Researchers surveyed a diverse group of 1,945 women diagnosed with early stage breast cancer. Women were surveyed an average of seven months after diagnosis. They were asked to rate the severity of seven common side effects of breast cancer treatment: nausea/vomiting, diarrhea, constipation, pain, arm swelling, shortness of breath and breast skin irritation. The survey also asked patients what kind of help they sought for their side effects – from discussing it at a routine visit to scheduling additional appointments or seeking emergency care. The study is published in Cancer. Most patients sought help for side effects during routine doctor’s appointments, but 9 percent scheduled an additional appointment and 5 percent went to an emergency department or hospital. Women who had double mastectomy were twice as likely as those who had lumpectomy to report severe or very severe pain. Severe side effects were also more common to Latina women, who were 30 percent more likely than white women to report a severe or very severe side effect. For the most part, side effects of cancer treatment are reported via clinical trials or cancer registries. Few studies have solicited input directly from a diverse group of patients. “As an oncologist, I knew from my clinical practice that more women were suffering than is generally reported in clinical trials,” says Allison Kurian, M.D., M.Sc., associate professor of medicine and of health research and policy at Stanford University. She says it’s important for oncologists to share information about potential side effects with patients. By making patients aware, they can prepare what to do if nausea, constipation, pain or other side effects occur. In addition, better data on the severity of side effects should be collected and then shared with patients to help with their treatment decision-making. The researchers are developing tools to help women understand how side effects vary by treatment. Additional studies are examining how side effects vary across diverse chemotherapy practices, as well as the optimal way to manage side effects. Additional authors: Christopher R. Friese, Ph.D.; Jordan M. Harrison, BSN; Nancy K. Janz, Ph.D.; Reshma Jagsi, M.D., D.Phil. ; Monica Morrow, M.D. ; Yun Li, Ph.D.; Ann S. Hamilton, Ph.D.; Kevin C. Ward, Ph.D.; Timothy P. Hofer, M.D.